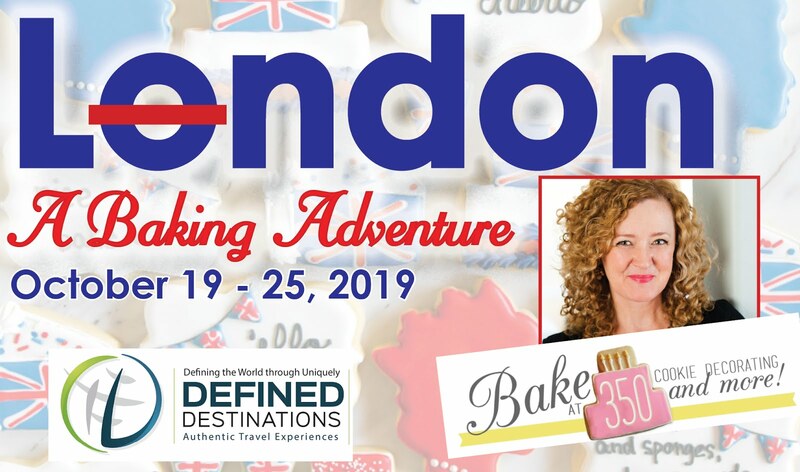 The return of "Bundt at 350" in the new year! Yay! My love for Bundt cakes is growing. I could easily see a Bundt pan addiction happening, but luckily (?) I'm out of cabinet space. This cinnamon roll bundt cake is swirled with cinnamon sugar and topped with a thick vanilla-bean-speckled cream cheese frosting. Oh baby. 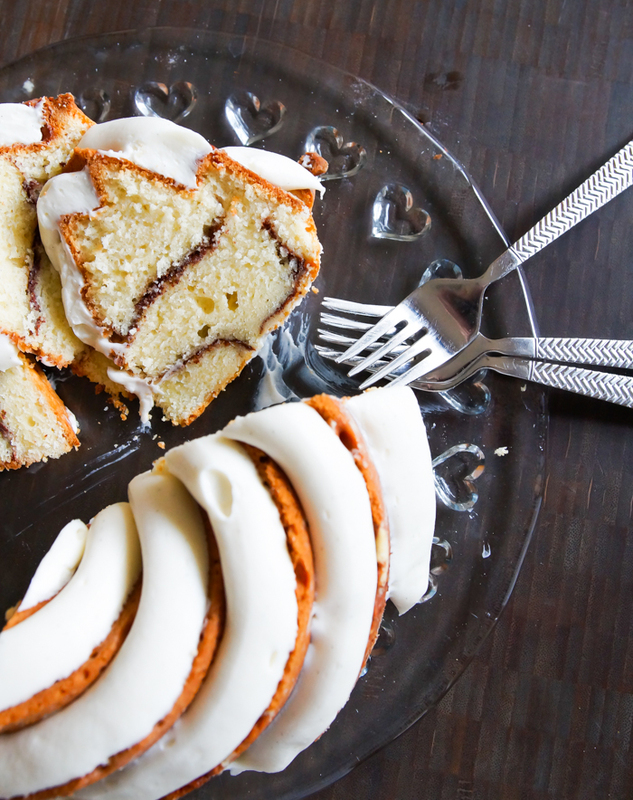 Vanilla bean paste is used in both the cake and the frosting. 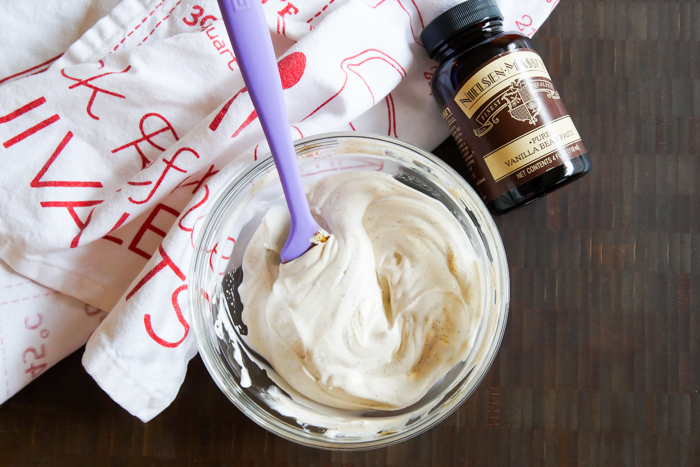 You can absolutely substitute vanilla extract, but you won't have those pretty little flecks. Happily, my grocery store carries vanilla bean paste (shout out to H-E-B), but if yours doesn't, here's some on Amazon and at King Arthur Flour. See the little flecks in the frosting??? Look at that batter...so thick and pretty. There's sour cream in the mix. You'll layer in the batter in the pan with a cinnamon-sugar mixture. 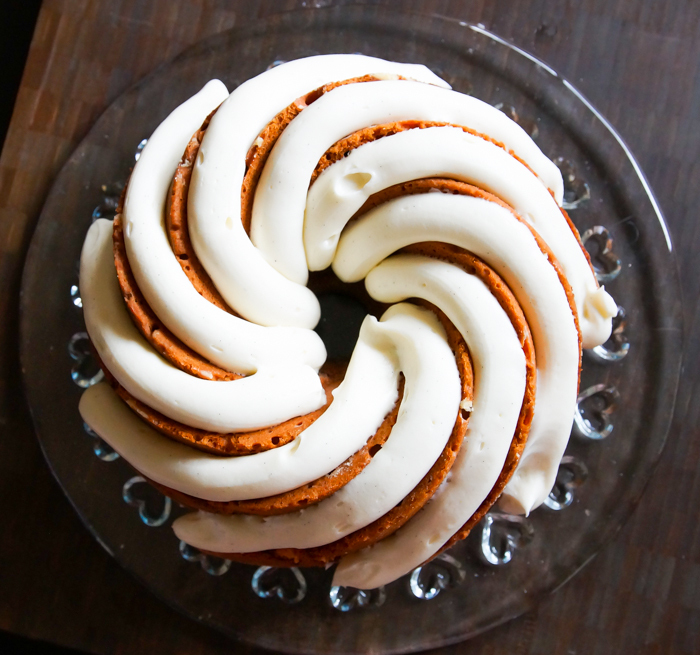 Cut into the cake, and you'll see the pretty swirls. Ahhhhh. Already missing my little wreaths on the windows (and this cake). 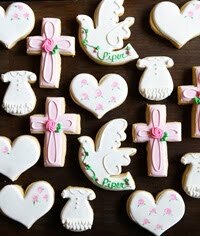 This recipe is adapted from the one at Mind Over Batter. Her pictures are prettier. Grease and flour a Bundt pan. Make sure every nook and cranny is covered. Preheat oven to 350. Make the cinnamon sugar mixture by stirring sugar and cinnamon together. Set aside. 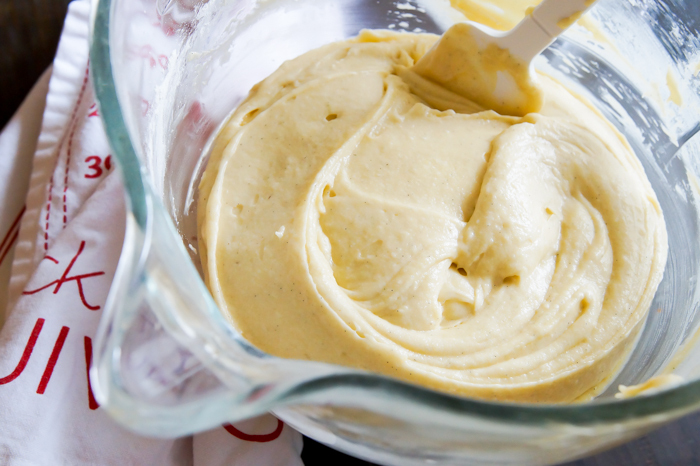 Whisk the flour, cornstarch, baking powder, and salt together. Set aside. Cream the butter and sugar together until light and fluffy. Beat in the eggs, one at a time, scraping down the sides and bottom of the bowl as needed. In a small bowl, stir together the sour cream and vanilla bean paste. On low speed, add the flour mixture in three additions, alternating with the sour cream/vanilla mixture. Mix just until combined. Stir the batter from the bottom, making sure all of the flour is incorporated. Pour the batter into the prepared pan in three layers, adding half of the cinnamon sugar between layers. Gently smooth the top layer. 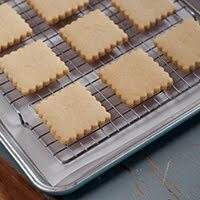 Bake for 50-60 minutes, or until a toothpick inserted in the middle comes out clean or with a few crumbs. Cool in the pan for 10 minutes. Place a cooling rack upside down over the bottom (open) part of the pan. Flip the cake over, and let sit for 1 minute. Gently lift the pan off of the cake and let cake cool completely. For the icing, beat the cream cheese and butter until combined and totally smooth. On low speed, mix in the sugar, milk, and vanilla bean paste. One combined, increase speed to medium-high and beat until thick and fluffy. 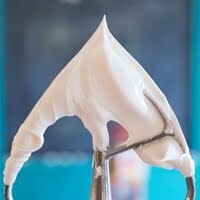 Transfer to a piping bag; cut off the tip to make a fairly large opening or use a large round icing tip. Pipe over the cooled cake. Agreed! Looks and sounds yummy! I'm curious about the addition of the cornstarch. Haven't seen that before - does it help stabilize things or??? Thanks! 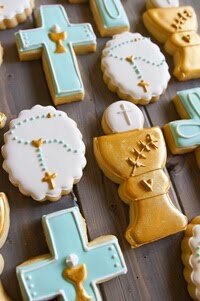 This looks delish as well as the frosting Bridget. I have that pan - I'm addicted to Nordic Ware pans! :) Will definitely have to try this cake. Bahaha! "Her pictures are prettier than mine." You're too cute. And so are your pictures! I LOVE Bundt pans! I've got...six? And just bought a set of minis! 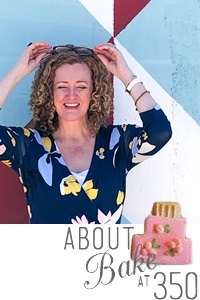 I can't wait to eat a whole cake! Lies! Your pictures are MUCH prettier than mine! 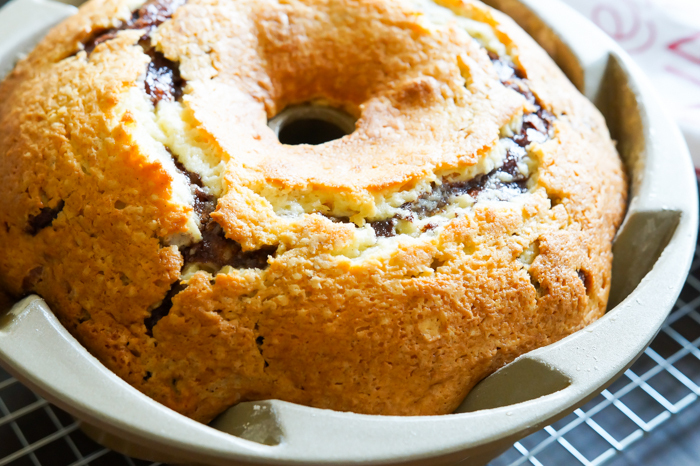 I love, love, love the thick frosting and I must own this Bundt pan! 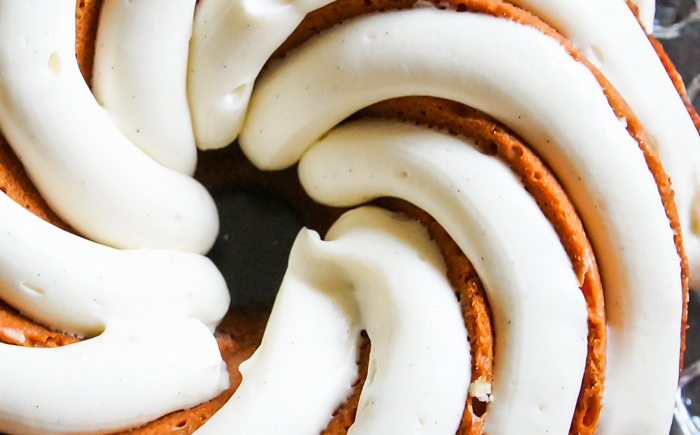 I have really started to appreciate bundt cakes myself. All the cake love plus easy serving! 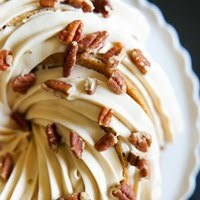 I have created a Pinterest Board just for bundt cakes. I love using my bundt tin, so am appreciative of more recipes in the future! This looks so delicious. I love Cinnamon Cake. I have that pan.....love nordic ware also. Can't wait to try it. Just made a blueberry loaf and I'm going to use the frosting recipe for it.....yum! 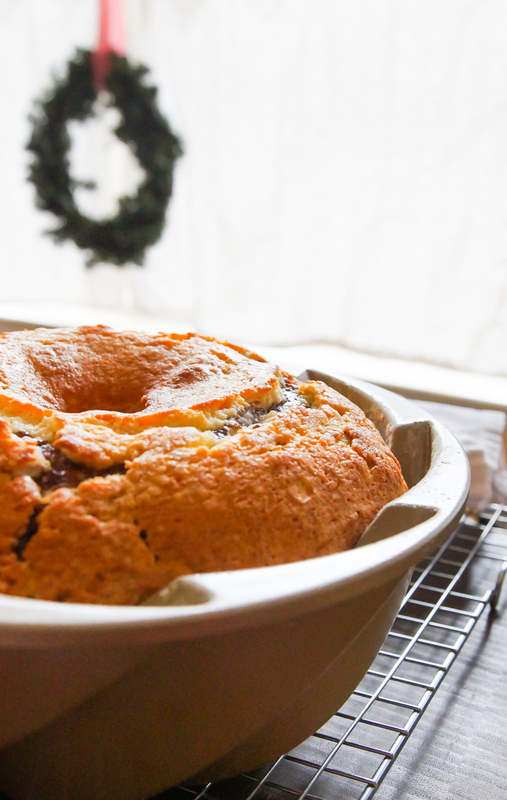 Was this cake baked in the Bavaria or the Heritage Cake pan? With the frosting its a bit hard to tell.